Has OPEC failed? That’s the question analysts have begun to ask, approaching the group’s next meeting later this month. When the members gather at their headquarters in Vienna, it will likely be to agree on an extension of production cuts in place since January. Those cuts, originally intended to re-balance markets and boost prices, had an initial positive effect but their ultimate impact has been difficult to measure, as inventories have declined only gradually while global oil shipments have increased. New production from outside of OPEC, particularly in the United States, has kept global inventories high. It’s generally believed that OPEC members will recognize the need to extend cuts, with one observer calling it a “100 percent” probability. 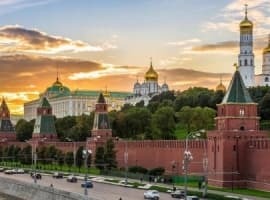 There is some speculation that Russia, a non-OPEC state whose cooperation is crucial to the overall success of OPEC’s strategy, may prove intransigent when it comes to cutting more production, but that skepticism was partly assuaged last week when Russia’s government indicated their compliance had neared one hundred percent. As far as major OPEC producers, such as Saudi Arabia, Iraq and Iran are concerned, an extension of the existing arrangement makes sense. Riyadh has been over-cutting and wants higher prices to support the partial IPO of Saudi Aramco next year. Iran and Iraq were both partly exempt from the production cuts, with Iran successfully recovering production to 3.8 million bpd. It can’t be denied that OPEC’s removal of 1.2 million bpd, combined with Russian cuts, has had an impact on global supply and supported declines in inventory. 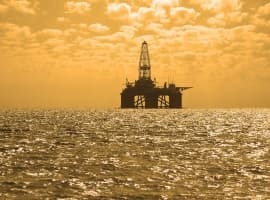 It’s also evident that declining investment since the price crash in 2014 will likely translate into a much tighter supply situation in the future, an outcome that OPEC is undoubtedly counting on, considering some of its members (particularly the Gulf States) can increase production and take advantage of higher prices with relative ease. But in the short-term, the OPEC deal hasn’t been the success story many hoped. American production, following a slump in 2016, has returned and shows few signs of slowing down, at least until the end of the year. Recovering production in U.S. shale has been supported by an increase in activity in the Gulf of Mexico, where offshore projects have started to come on-line. 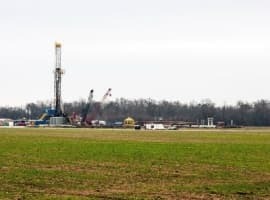 A federal administration with a boisterous, ambitious attitude regarding future energy production supports feelings that the future is bright for U.S. fossil fuels: executive orders on opening up offshore, approving long-dormant pipelines and freeing up federal land have only added to the air of confidence in the U.S. patch. OPEC cut production, sure, but its strategy didn’t seem to cut into imports by OPEC customers, particularly China, which have increased despite alleged reductions in OPEC output. American imports of Saudi Arabian oil have also increased, while total imports from OPEC in the first quarter of 2017 rose in January, according to EIA data, followed by a decline in February. Saudi Aramco has offered discounts on products and crude headed for Asian markets, after further discounts were offered in April and May. The move is motivated not only by an interest in seizing more market share but also in improving the performance of Saudi Aramco, which faces its first partial IPO next year and is being dogged by skepticism surrounding the initial $2 trillion estimation of the company’s worth. Meanwhile, the U.S. rig count ticks steadily upward, fueling expectations that U.S. production will top levels last seen in 1970, the year American conventional crude production peaked. It’s no coincidence that 1970 is also when OPEC first truly began to throw its weight around the global petroleum market, and the year oil scholar MA Adelman noted oil prices began their “mutation” due to OPEC pressure on major companies. It’s now fairly clear that an OPEC production cut extension will be reached this month. But the real question is whether a cut will prove OPEC’s viability in influencing major trends in the market. Its members have long been focused on their own domestic agendas, but 2017 could be the year the group’s unity starts to come undone. Saudi Arabia is focused on its IPO, Iran and Iraq on seizing market share and recovering production, while many other member states including Nigeria, Libya and Venezuela continue to struggle with immense challenges and instability. As American production recovers to a historic level, it’s possible that OPEC’s failure to act as a lever on price could auger a permanent decline in the group’s fortunes. With doubts surfacing over whether the first round of cuts was a true success, all eyes will be on OPEC in the second half of this year, measuring whether the cartel that isn’t really a cartel still has the juice to deliver on its rhetoric. Do Saudi Arabia And Russia Really Want Higher Oil Prices? It's amazing how many bearish articles are floated not only at oilprice, but in the other financial news outlets. Gee, It's almost like they are all reading off of the same script (wink). When the oil shock comes, and I believe it will in the not too distant future, all this bears will be singing a different song. Oil is quite clearly in a 2 year oversupply and potential perma-glut. Will there be one last demand based blip in a few years? Perhaps. But oil in the long term is done. Demand will almost certainly begin it's final downward spiral within 5-10 years.